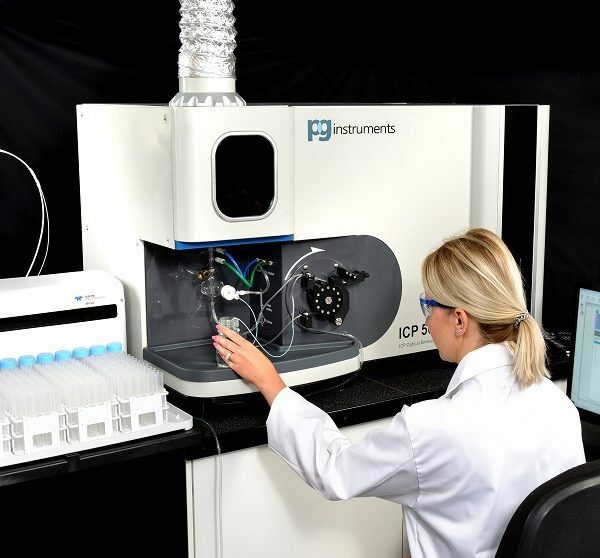 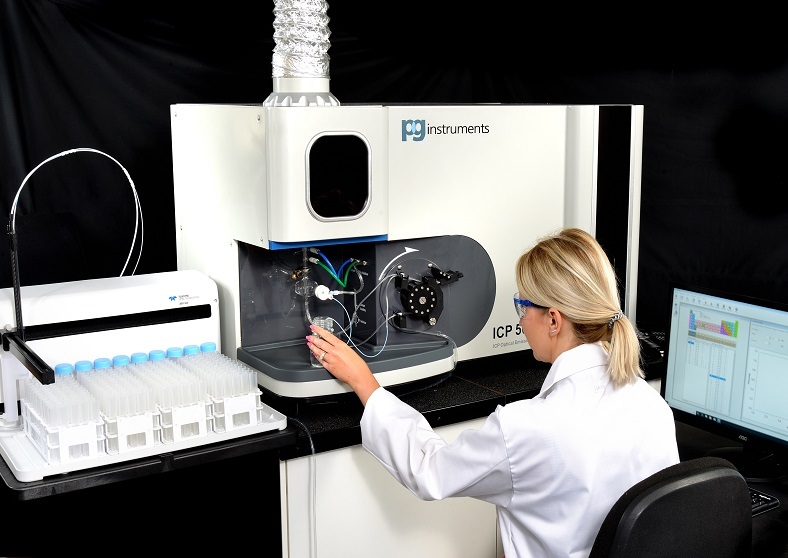 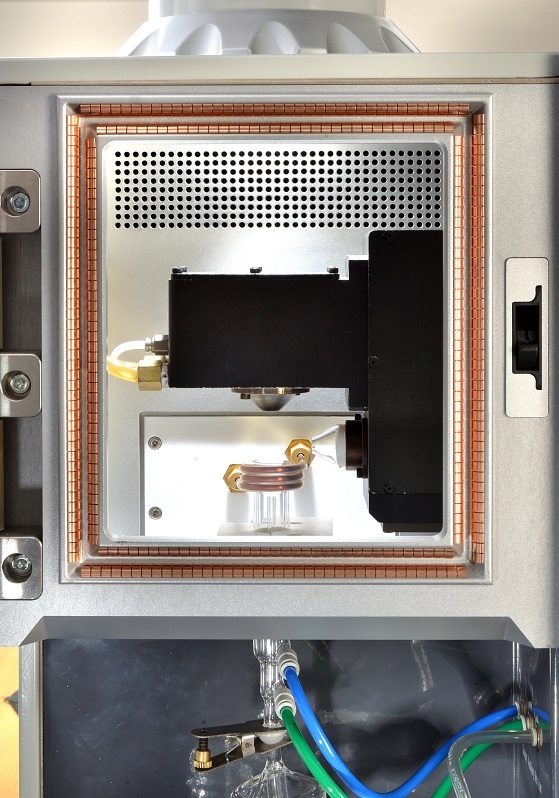 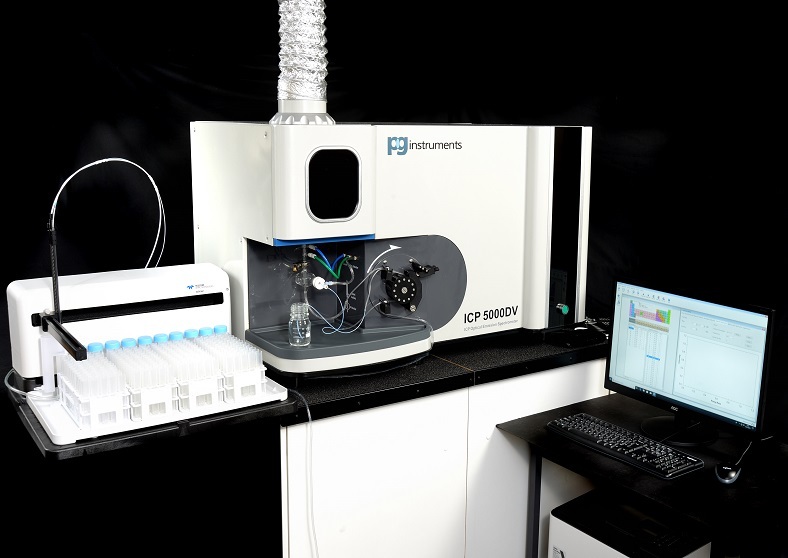 FULLY AUTOMATED FAST SIMULTANEOUS INDUCTIVELY COUPLED ARGON PLASMA (ICP – OES) DUAL VIEW SPECTROMETER. 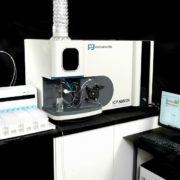 The ICP5000 Dual View ICP-OES Spectrometer has a focal length of 0.4m and a wavelength range of 165 – 900nm, is an Echellé Grating Spectrometer with a Prism which acts as a Cross Dispersion System allowing the simultaneous display of all spectral lines in a single exposure and the analysis of the complete spectrum in a compact area. 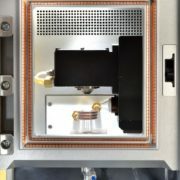 The Spectrometer is Argon OR Nitrogen purged to allow the analysis of elements in the far UV such as Aluminium at 167nm. 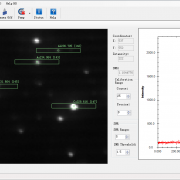 The detection system is a Charged Coupled Device (CCD) 1024 x1024 Pixels. (CCD Pixel Size 24 µm x 24µm). 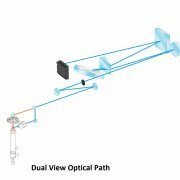 This high speed acquisition system provides for simultaneous Full- Spectrum reading and real-time single pixel sub- array monitoring allowing very fast analysis. 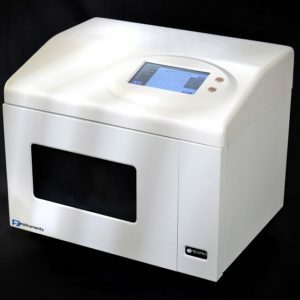 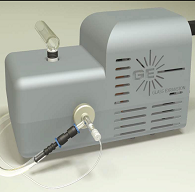 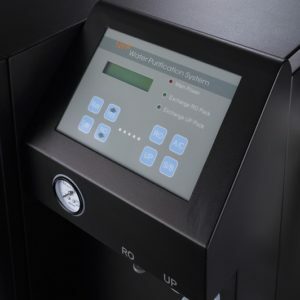 The “on – board” Solid State RF Generator operates at a frequency of 27.12 MHz and has a computer controlled forward power range of 800 – 1600 Watts (Standby Power of 500W to conserve and reduce argon consumption) with real time automatic tuning with stability better than 0.1%. 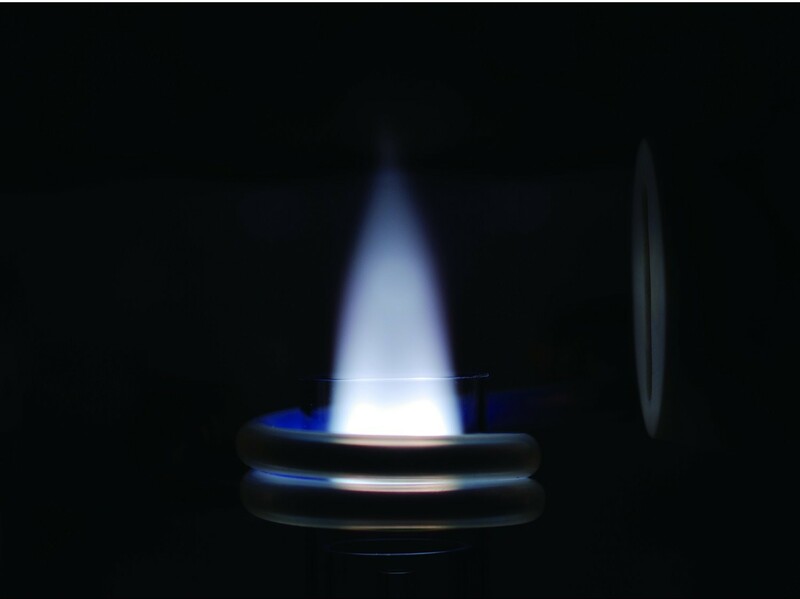 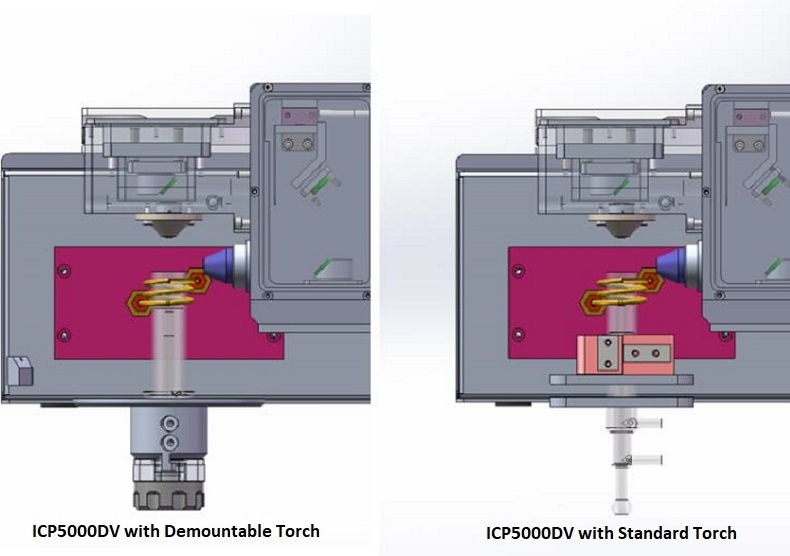 The plasma ignition and generator output is fully monitored via the ICP-Win Software. 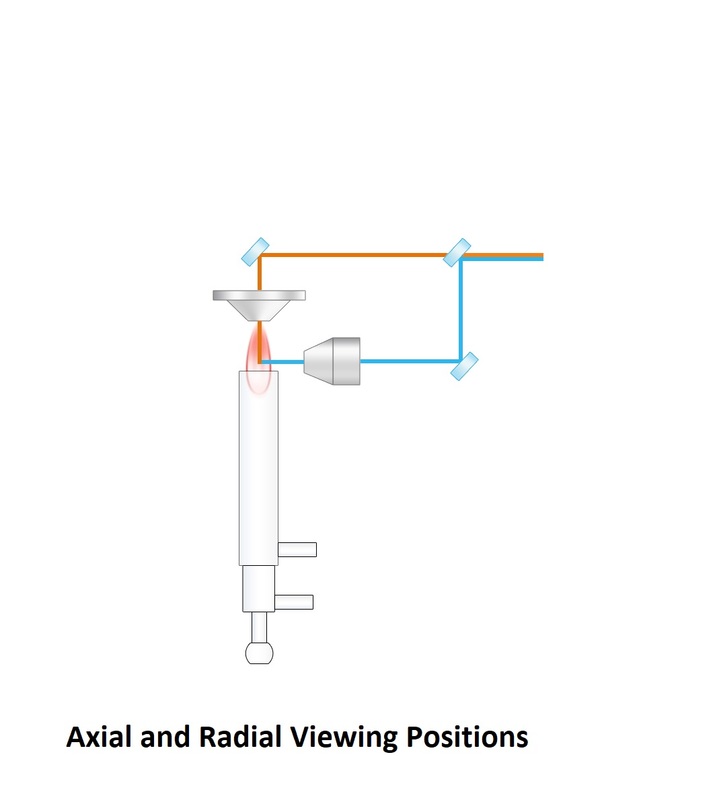 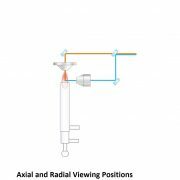 The instrument is available as standard with BOTH axial and radial views of the plasma. 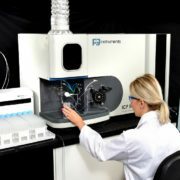 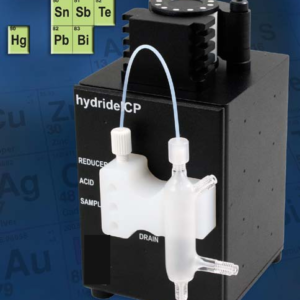 Thus providing an ICP Spectrometer that can be used for ultimate sensitivity and also offers maximum flexibility. 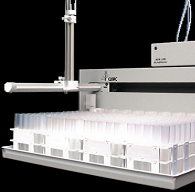 The sample introduction system is via a multi- channel (4 channel) 12 roller peristaltic pump (controlled via the software). 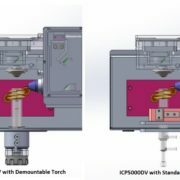 A Demountable Torch, cyclonic spray chamber and a concentric glass nebuliser are supplied as standard (Further options available on request). 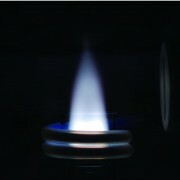 Show Ignitor, RF Coil, nose cone and RF Sensor. The system is fully computer controlled via user friendly ICP-Win Software. 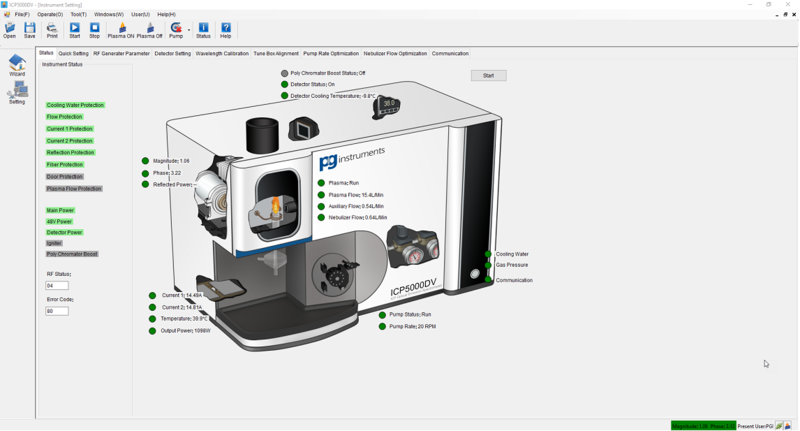 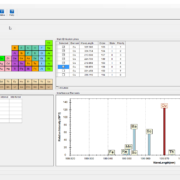 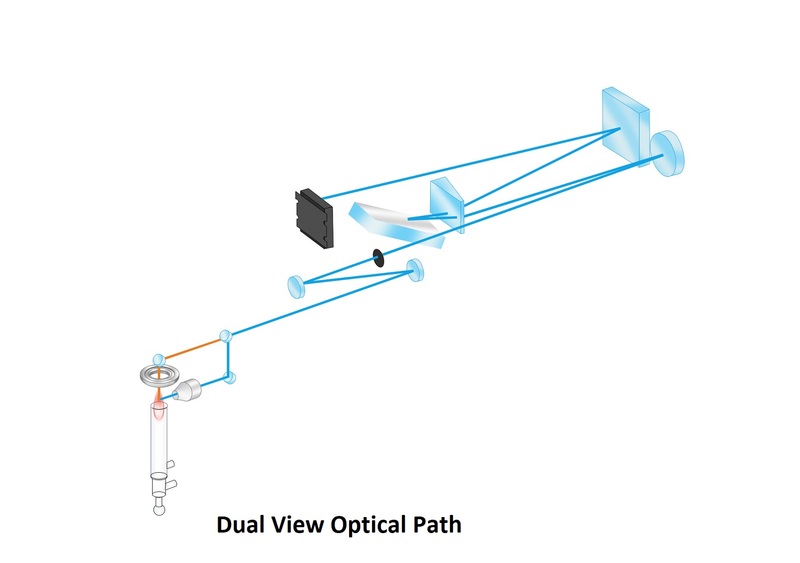 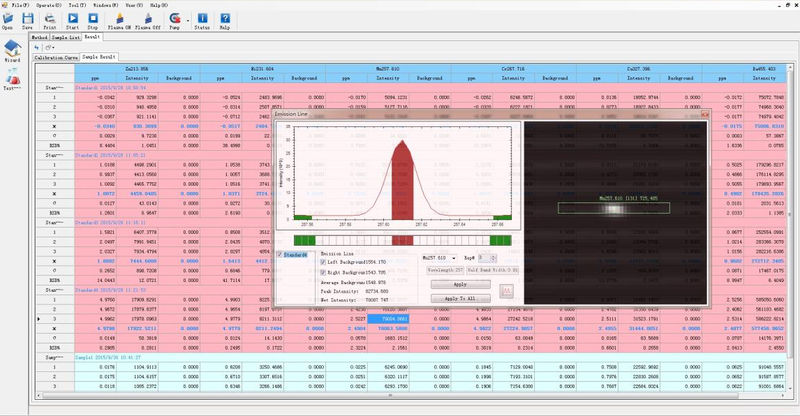 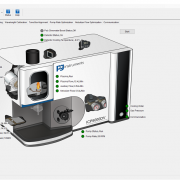 The multi–window and multi-method analysis program enables fast simultaneous measurements. 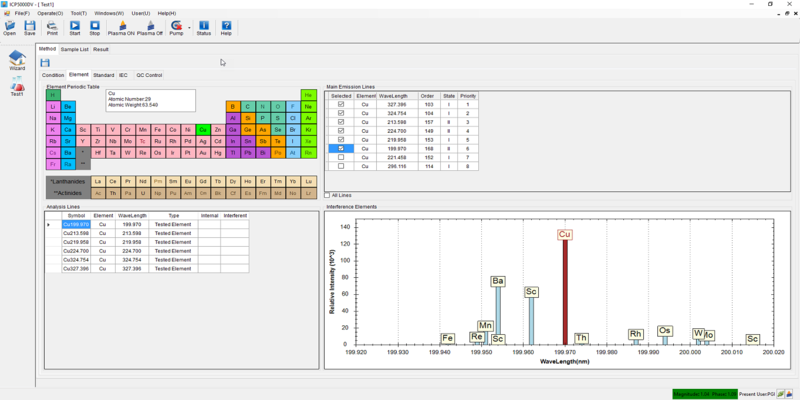 The software has a built in library of over 70000 spectral lines showing inter-element corrections (IEC) and interferences. 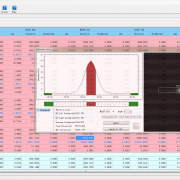 Visual Background correction points are displayed. 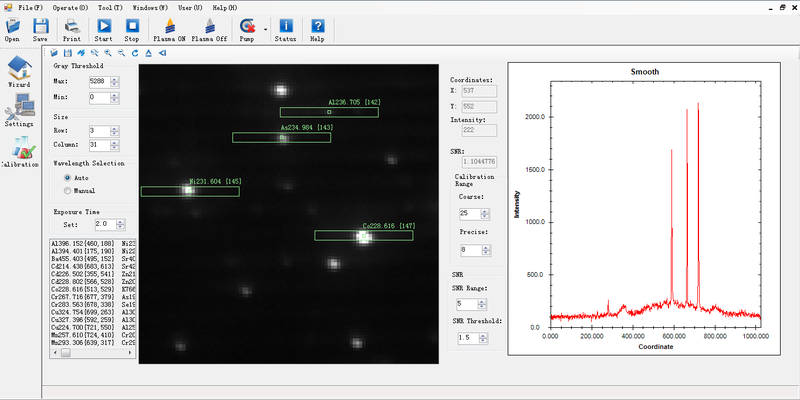 The software allows the display of complete “Spectrograms” showing automatically and manually calibrated spectral lines.